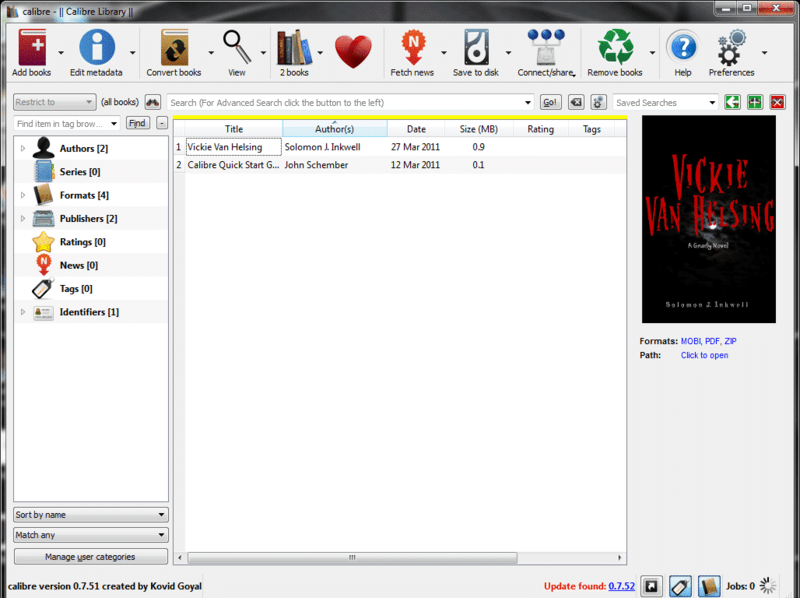 With a user base of over 2 million unique downloads since its release in August 2009, Calibre file conversion software is making it possible for authors to convert their Open Office, Word, and other text files to formats that are compatible with numerous e-readers through Windows, OS, and Linux. By putting the capability in the hands of the authors, this software, which also maintains a web-based server of each user’s library in order to enable access from a computer, e-reader, or smartphone, individual writers are now able to post their manuscripts in e-reader downloadable formats. This will allow for broader online critique group access, agents and editors to download manuscripts directly to an e-reader for perusal, and for authors to sell their work directly from their own websites. Authors have had the ability for many years to self-publish their works through vanity presses, and with the widespread popularity of e-readers many of the larger online book sales sites have enabled writers to upload their manuscripts for sale to the public without requiring traditional agent representation or publishing. With Calibre, though, authors can now control which formats they convert their files to, which will allow them to establish their own websites for sales and cut out the middle man. Calibre also has a lot to offer those who just want to enjoy a good book, not necessarily write one. By keeping all of the user’s titles in one location library, then storing that library for retrieval from any computer or device, users can now enjoy their titles in much the same way that Amazon Cloud allows customers to maintain access to their music libraries from any computer. News feeds can also be downloaded from online sources and converted to the Calibre library. The greatest feature of Calibre, of course, has to be its price tag: free. Calibre relies on optional donations to keep it capable of releasing upgrades and new features, as well as providing debugging downloads to address any interface problems as they arise.